After numerous complaints about Rick Ross’ use of his name, former drug kingpin Freeway Ricky Ross is taking action against the Miami-based rapper. 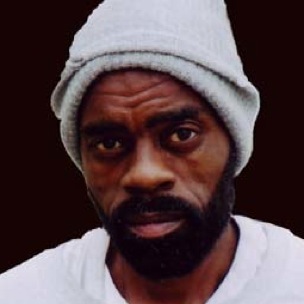 According to AllHipHop.com, an attorney for Freeway Ricky Ross filed a copyright infringement lawsuit against Ross in a California Federal Court last week. Ricky Ross claims that Rick Ross has used his name and image to garner a successful rap career. Not only does he target Rick Ross in the lawsuit, but also rapper/entrepreneur Jay-Z who signed Ross to Def Jam back in 2006. Both Jay-Z and Rick Ross may have to appear in court to testify. The lawsuit also lists Jay-Z, Maybach Music Group, Slip-N-Slide Records, and UMG Recordings as defendants in the case. UPDATE: The Hollywood Reporter has announced that the reformed drug kingpin is seeking 10 million dollars from the Miami rapper who shares his name. Ross has threatened to use the lawsuit to delay the rapper’s fourth official album, Teflon Don, presently due to release next month. This is the second case of its kind this week. Earlier, another artist signed through Universal Music Group, Game, was legally threatened with delays for his summer album regarding a reported defaulted royalty agreement.